If you are not vegetarian, do you find cooking for vegetarians challenging? During spring and summer, when there is so much wonderful fresh produce available, I find I cook more vegetarian anyway, having put the slowly cooked meats of winter on hold for awhile. And with a delicious pasta as your entree, you won't miss them. 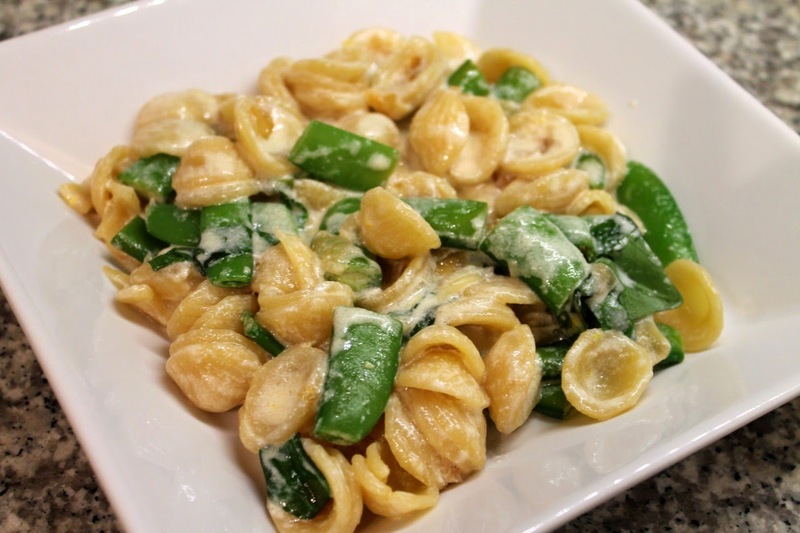 This deliciously light spring pasta made the perfect meal for a recent dinner with friends, one of whom is vegetarian. It's a pretty simple recipe and great for serving company, since you can do the prep work in advance and then it comes together quickly right before you serve it. 1. Heat oil in a large nonstick steep-sided sauté pan or skillet over medium-high heat. Add the onion sand sauté until they are softened, about 5 minutes. Decrease heat to medium and continuing cooking until the onions are a golden color, about 15 to 20 minutes (add a tablespoon or two of water if they dry out too much and start to brown). 2. While the onions caramelize, cook the pasta in salted water according to package directions for al dente. Reserve 1 cup of pasta cooking water. Drain pasta and set aside. 3. Add the peas and cook for another 3 to 5 minutes. Add the pasta and reserved pasta cooking water and stir to combine. Remove from heat. Stir in the ricotta cheese, basil leaves and lemon peel. Serve pasta in shallow bowls topped with freshly ground black pepper.